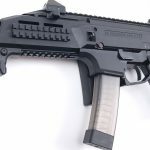 Test-firing a 9mm CZ Scorpion EVO 3 A1 submachine gun and its semi-auto counterpart, the S1 Carbine. Thanks to their operating systems and control positions, both Scorpions can still be fired with the stock folded to the right. The carbine variant sports a 16-inch barrel fitted with a muzzle brake. The SMG wears a full birdcage flash suppressor. Like the SMG, the Evo 3 S1 Carbine comes with ergonomic controls as well as a folding polymer stock that can easily be adjusted for length of pull. The SMG’s fire control selector, just above the pistol grip, has four positions: safe, semi-auto, three-round burst and full-auto. The Scorpions come with protected, elevation-adjustable front sight posts. The Scorpions also come with aperture rear sights adjustable for windage. The longer M-LOK-compatible forend on the Evo 3 S1 Carbine allows you to hold the gun farther forward for better accuracy off-hand. 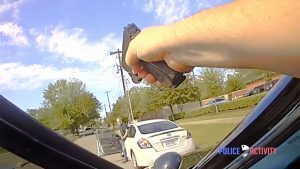 It’s certainly true that police special operations units have migrated away from 9mm submachine guns (SMGs) to variants of the AR-15 over the past decade. However, there are many agencies that still keep and train with 9mm submachine guns. Most police weapons are variants of either the standard-bearer HK MP5 or the Colt 9mm AR. This is because these were arguably the best SMGs at the time when SWAT units started becoming more prevalent in the 1980s. 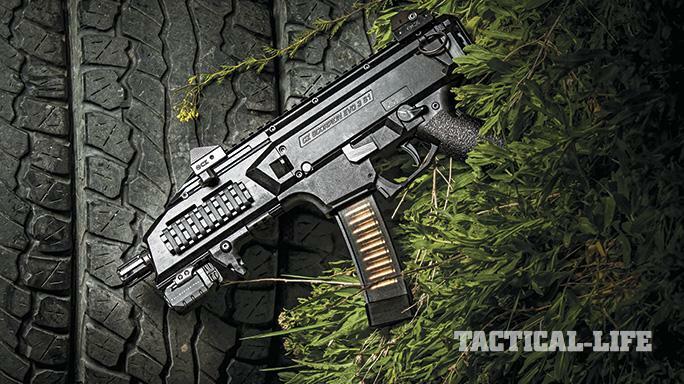 Fast-forward to 2017, and you’ll find several additional platforms to choose from, including the CZ Scorpion EVO 3 A1. 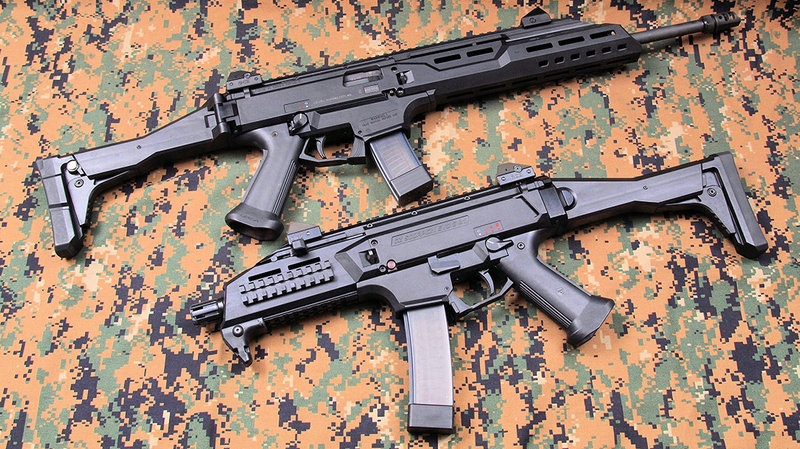 The Czech-made Scorpion made its international debut at the 2009 IDET exhibition in the Czech Republic’s Brno. But it was almost unknown in the U.S. market until 2015. That’s when semi-auto pistol versions started to be imported, followed by a carbine. 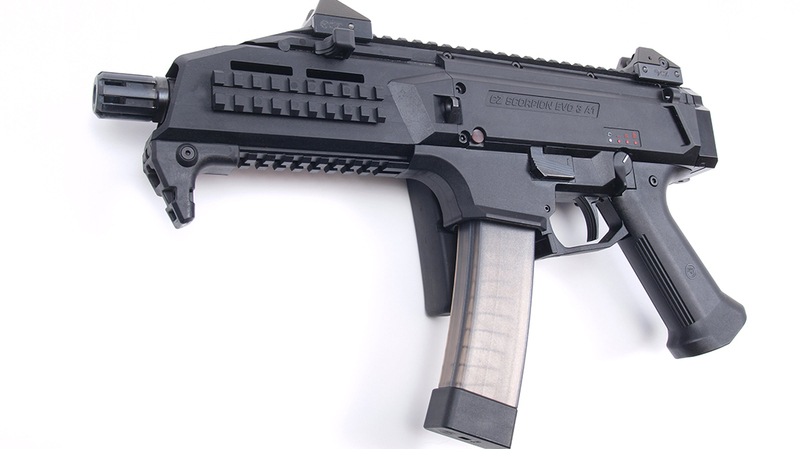 The Scorpion SMG is limited to law enforcement and military personnel. Civilians can get close by obtaining one of the new semi-auto carbines. They can also convert a pistol variant to a short-barreled rifle (SBR). This done using American-made parts sold by CZ or another supplier pending the BATFE paperwork. 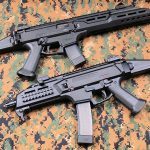 CZ-USA sells two carbine versions: one with a faux suppressor and one without. I selected the latter for this evaluation. This is because I like a functional muzzle brake rather than a cosmetic faux suppressor. Of course, the carbine doesn’t have the select-fire capability of the SMG, and the two differ when it comes to barrels, forends and muzzle devices. Also, the SMG is 100-percent made overseas while the carbine is made stateside with imported and U.S. parts for 922(r) compliance, and it comes with two 20-round mags instead of 30-rounders, a bore snake and a sight adjustment tool. The SMG’s dimensions are very close to the HK MP5A3. This makes it a very handy fit into discreet gun cases or concealed under a jacket. With the stock folded to the right side, the weapon is a mere 16.5 inches long and 10.3 inches tall with a magazine inserted (but excluding the 1-inch-high sights). The length with the stock open and fully extended is 26.5 inches, but this weapon and the carbine version can be operated and fired with the stock closed thanks to the locations of the controls. 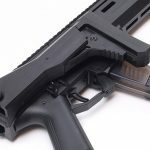 The stock can also be removed completely if a machine pistol is desired, which trims the weight from 6.26 to 5 pounds. 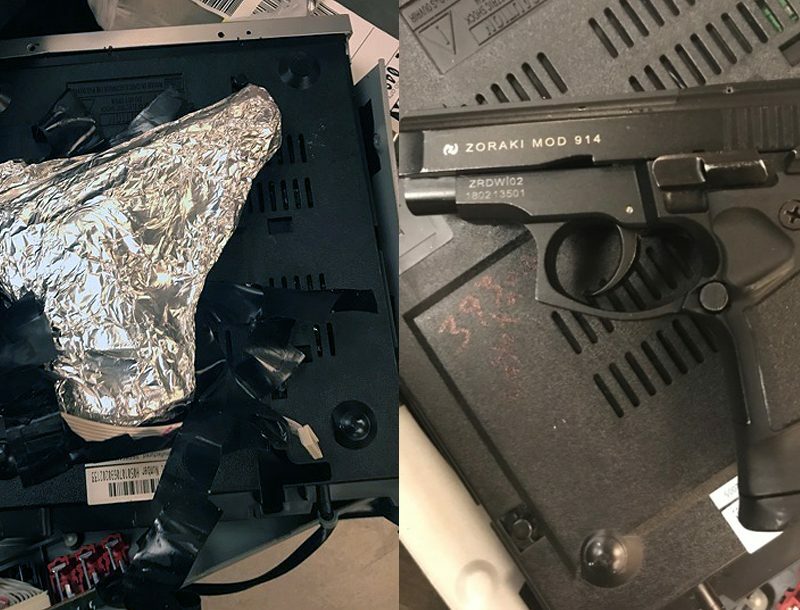 Contrast this with the MP5A3, which weighs 6.5 pounds and is 21 inches long with stock fully collapsed and 27.25 inches with it open. 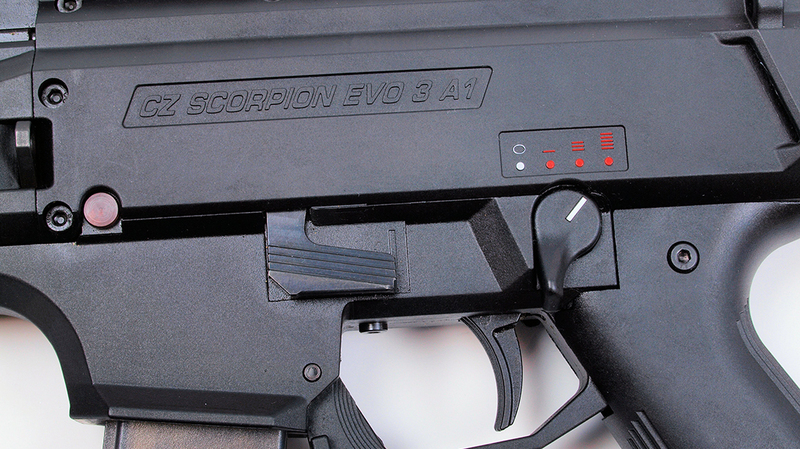 The Scorpion has a polymer receiver, forend, trigger housing, trigger shoe, safety selector and stock. Steel is used for the bolt, springs, pins, barrel and trigger/sear mechanism. 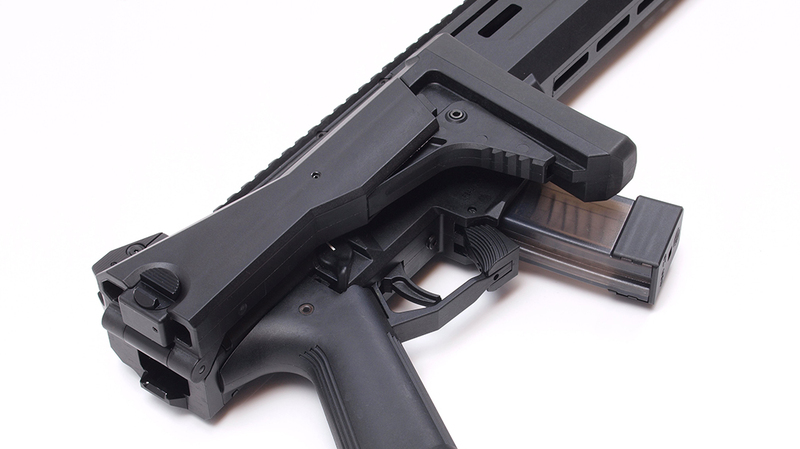 The receiver consists of two sections joined together clamshell style with hex-head screws, while the trigger housing and forend are one piece. The barrel is attached to the forend, which is attached to the front of the receiver with hex-head screws, making it easy to change from a carbine- to pistol-length barrel and vice versa. 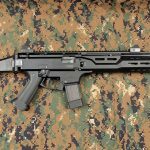 The SMG has a 7.7-inch barrel topped with a full birdcage flash suppressor while the carbine sports a 16.2-inch barrel with a three-chamber muzzle brake. Both use cold-hammer-forged, medium-profile barrels with six-groove, right-hand, 1-in-9.8-inch-twist rifling. 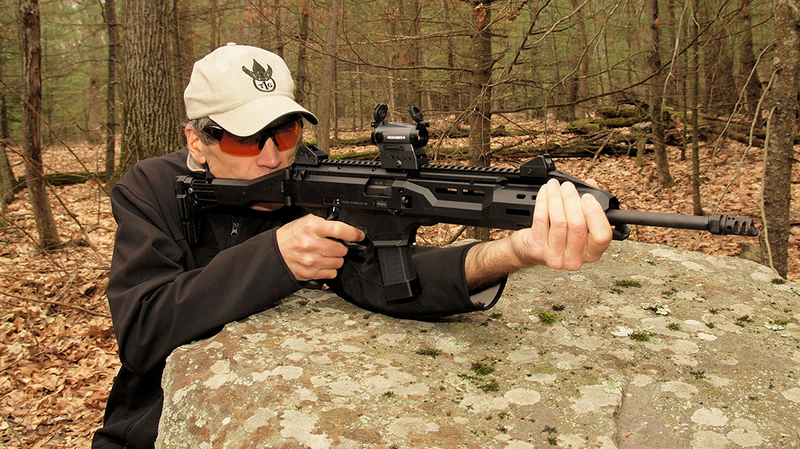 The SMG’s muzzle sports 1×18 metric threading while the carbine has the 1/2×28 thread pattern common to Americans. The folding stock offers three different lengths of pull. 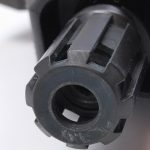 The one-piece grip is secured to the trigger housing with a single hex-head screw and can be slid a half-inch forward or rearward to create a more ideal position for the shooter’s finger on the trigger. 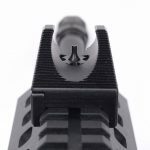 This grip’s geometry places the firing hand high enough to easily contact the safety selector, but it can also be replaced with two designs offered by Yeti Wurks should you wish to change the angle and texture significantly. The futuristic-shaped stock of the SMG garners lots of attention at arms exhibitions, yet it is functional as well as eye-catching. A full-length Picatinny rail covers the top of the receiver, and the forend features more rails in the 3, 6 and 9 o’clock positions. The SMG also has a removable hand stop to keep your support hand clear of the muzzle. 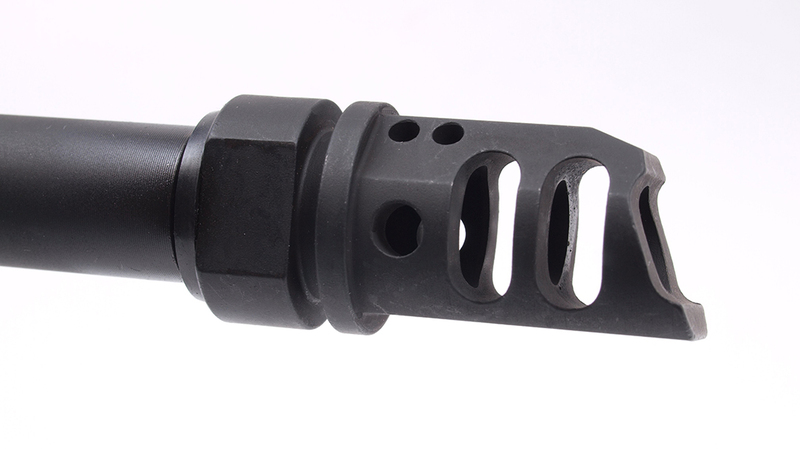 The carbine has a longer forend with multiple M-LOK attachment slots for accessories. The carbine’s Magpul-made, one-piece forend also allows the barrel to float freely. There are four eyelets for mounting a sling: two on each side of the receiver with a slot on the left to keep the weapon close when it is slung cross-body. Both the carbine and SMG are designed for right- and left-handed operation with ambidextrous fire controls and magazine release levers. The SMG has a four-position selector: safe, semi, three-round burst, and full-auto. (The burst mode functions like the MP5’s in that it resets to three if the operator only fires one or two shots.) According to the manual, the rate of fire is 1,150 rounds per minute. Engaging the safety locks the action closed. This design feature is more common overseas. It’s an oddity to American shooters who prefer to clear the chamber with the safety on. Charging is done with a side-mounted, non-reciprocating handle that can be mounted on either side of the receiver. 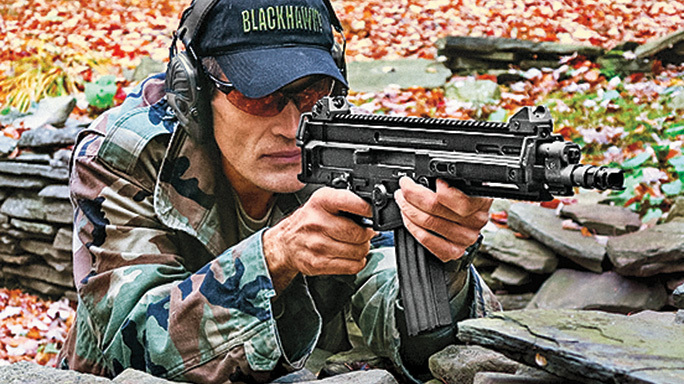 Like the MP5, the handle pivots upward to engage a notch in the forend, locking the action open. 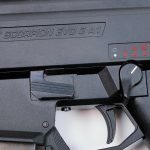 Unlike the MP5, however, the Scorpion also has a left-side bolt catch/release lever that locks the action open on an empty magazine or by pressing upward. 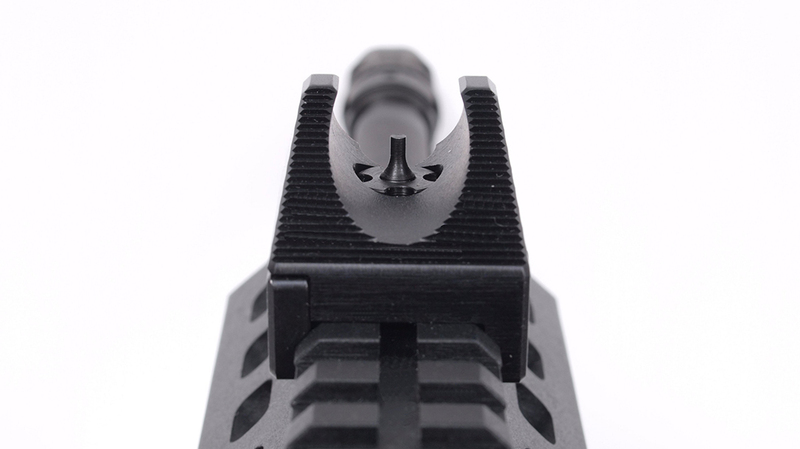 The bilateral magazine release sits at the forward edge of the triggerguard and is easily activated with either the trigger finger or the thumb of the support hand as it grasps the magazine when reloading with retention. The sights are identical on both the SMG and carbine. 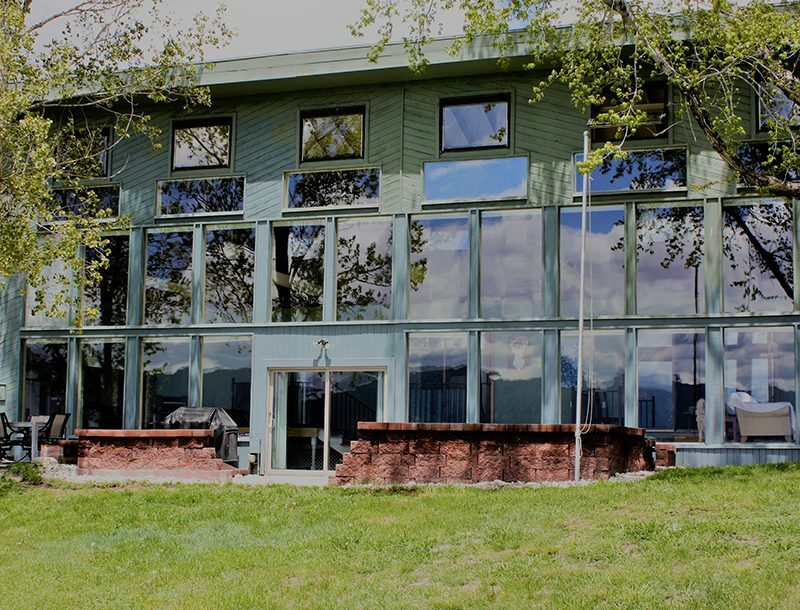 Constructed from steel and aluminum, they consist of a protected rear aperture and a protected post front. 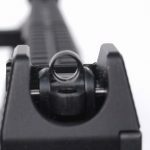 In addition, both sight housings have glare-reducing horizontal grooves milled into the edges that face the shooter’s eyes. 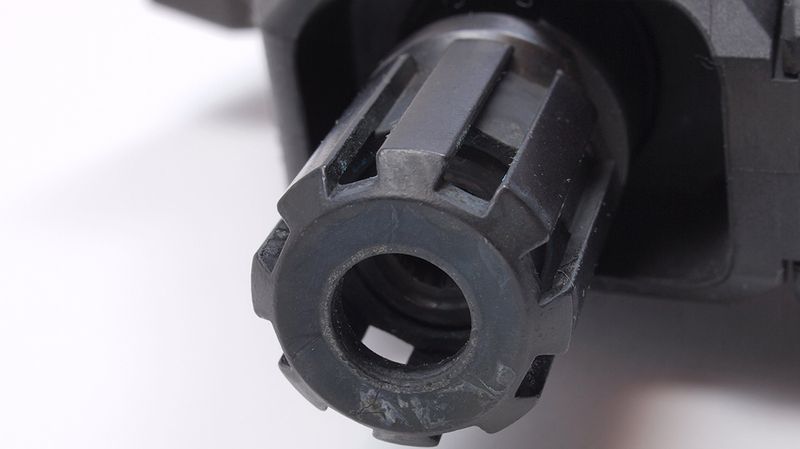 The rear sight has four apertures that rotate into place. Furthermore, each has a different-sized hole ranging from a ghost ring for CQB and low-light operations to about 1.5mm for precision sighting. 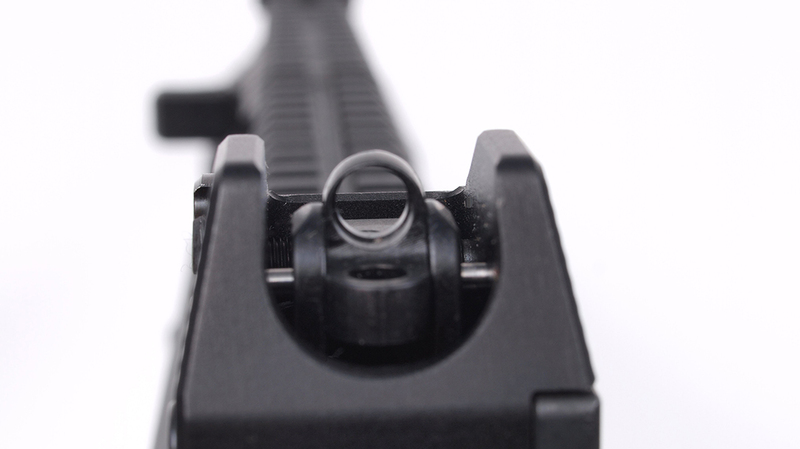 The threaded front sight post can be turned to adjust for elevation while the rear sight has a knob for adjusting windage. The CZ sight adjustment tool makes the task much easier than using a bullet tip or a nail. As with several CZ pistols I have tested in the past, the SMG also came from the factory with a 25-meter test target showing a five-shot group measuring 2.75 inches, which is a nice quality-control step. Both triggers have lots of creep, a fairly long travel of about 0.37 inches and a pull weight of 9.31 pounds, as measured with a Lyman digital trigger pull gauge. Like many SMGs, the heavy trigger return spring contributes significantly to the total pull weight. However, it could be intended to help the operator maintain short bursts during automatic fire. 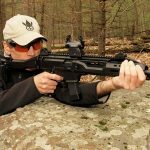 The Scorpion carbine was tested for accuracy off a Caldwell Tack Driver rest using a Leopold scope at 50 yards, and its handling was evaluated off-hand using the supplied iron sights. It ran flawlessly with several common factory cartridges, even defensive loads with hollow-point bullets that some firearms won’t feed consistently. The accuracy testing produced some interesting results. The best groups came from the Winchester 147-grain WinClean Brass-Enclosed Base (BEB) ammunition. 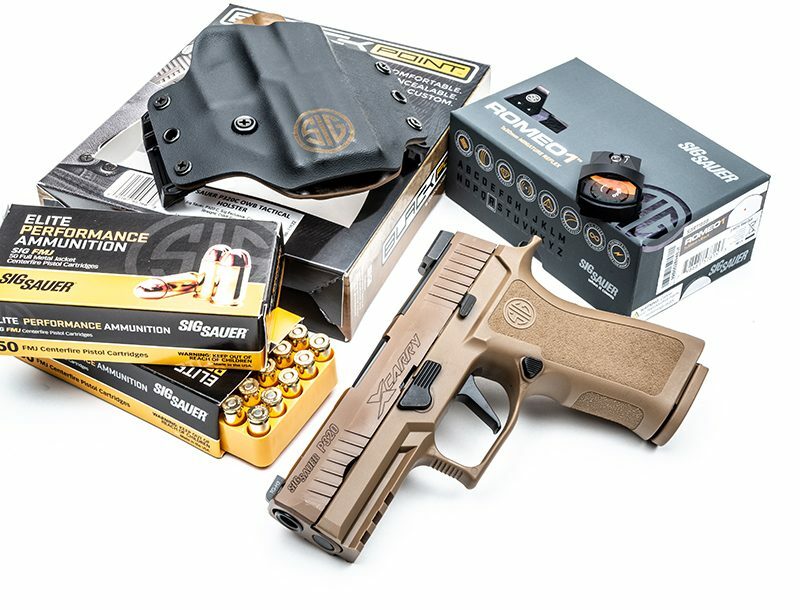 This ammo is designed for indoor ranges, using a lead-free primer and a bullet that has a completely enclosed base, with only a small amount of lead exposed at the tip. Black Hills’ 124-grain JHPs came in second place. The lighter-weight 115-grain FMJs from Remington shot much wider groups, averaging 2.9 inches. 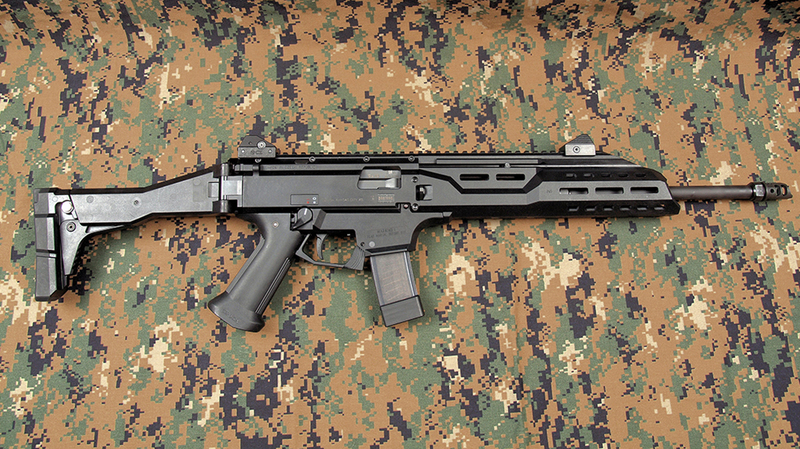 To test the Scorpion SMG, I mounted a Rugged Obsidian suppressor in its long configuration. The Obsidian is a modular design that can be used in either long (8.6 inches, 12.8 ounces) or short (6.7 inches, 10.7 ounces) configurations. This suppressor has a .45-inch-diameter bore. But it’s rated for pistol calibers up to .45 ACP and can handle subsonic 300 BLK ammo. 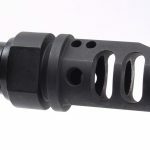 The Obsidian can be used for 9mm or smaller-diameter bullets by changing the piston or fixed barrel mount to fit the barrel threads, but sound reduction is less efficient than matching the suppressor bore diameter to the bullet diameter. While bore diameter can impact sound suppression, I installed the 9mm end cap that should partially mitigate the lost efficiency for my test. The Obsidian is also rated for full-auto fire. Its baffles are made of heat- and abrasion-resistant 17-4PH stainless steel rather than the more common titanium or aluminum, which save weight and lower costs at the price of durability and longevity. Silencer Shop tests show the Obsidian performs very well with 147-grain 9mm subsonic rounds, with sound signatures of 123.7, 130.4 and 123.9 decibels for full, short, and short/wet configurations, respectively. 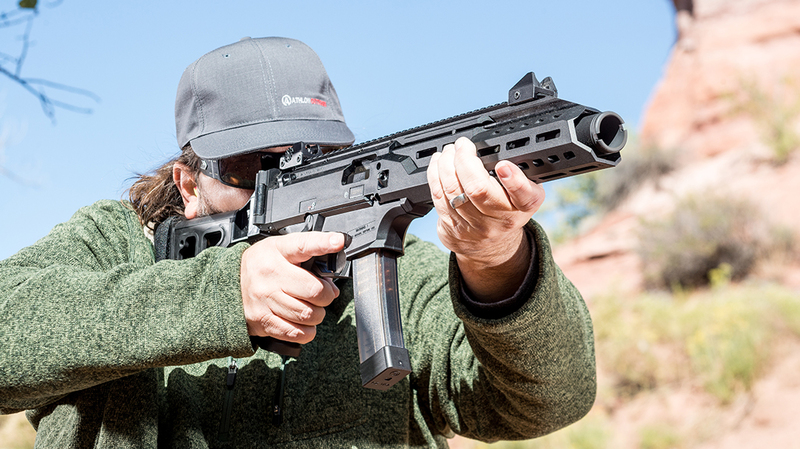 The Scorpion SMG’s functioning wasn’t affected by the Obsidian, but the handling improved thanks to the suppressor’s recoil-dampening characteristics, allowing me to keep the sights on target even on full-auto—especially when using lighter-weight bullets. One three-shot burst at 16 yards went into a single hole, though that feat was exceptional and not repeated. Semi-auto fire consistently produced tighter groups with the Obsidian than without. The point of impact only shifted 1.5 inches high at 16 yards. 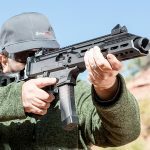 The CZ Scorpion EVO 3 is a viable option for home defense when loaded with +P ammo, which delivers more energy than a .357 Magnum round. Relative to other long guns, its collapsible stock makes it easier to store, yet it’s also easy to access at a moment’s notice. This platform works well for right- and left-handed shooters alike. 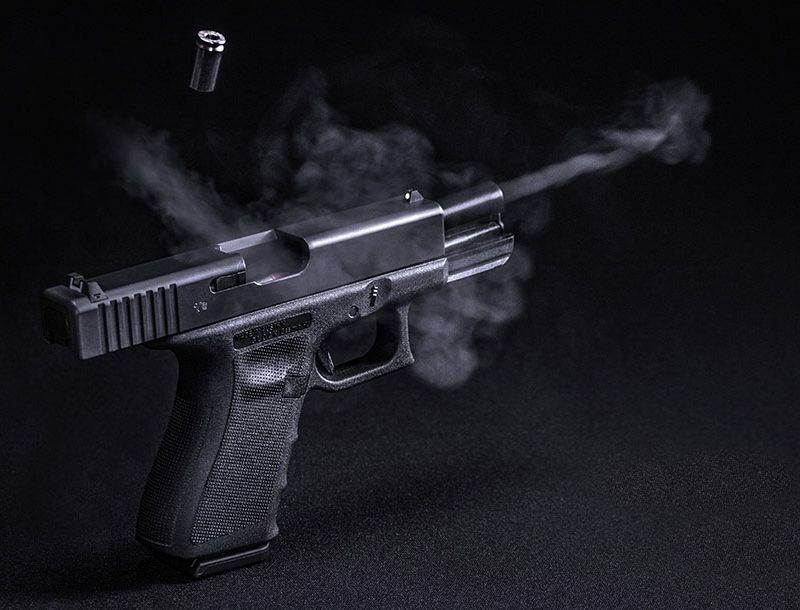 But perhaps its best feature is the caliber, which is pleasant to shoot and less costly than other options, thus encouraging training by family members who are recoil and noise sensitive. *Bullet weight measured in grains, velocity in fps by chronograph and accuracy in inches for three 5-shot groups at 50 yards.